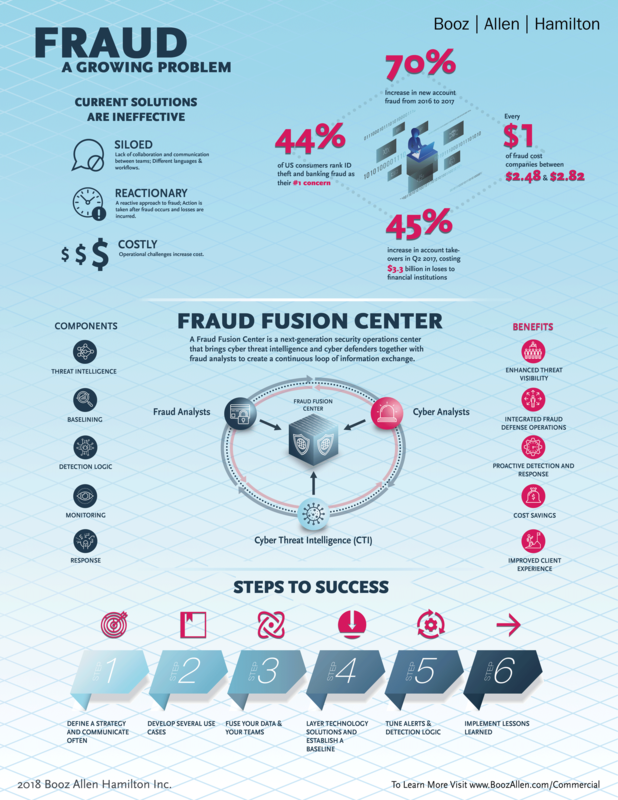 Our digital fraud solutions are focused on fusing together components of Cyber Fusion Centers and fraud operations to combat digital fraud, cybercrime, and online fraudulent activity. This fraudulent activity often takes place by exploiting customer and proprietary data, and defeating existing online fraud prevention and detection controls. Leadership team will have improved awareness of cyber and fraud activities, threats, and trends, which will shape both security center and fraud operation strategies that will drive investments. Cybersecurity and fraud teams will benefit from sharing data and alerts that will result in reduced false positives and the ability to automate and orchestrate parts of the detection and response process. Teams will have the ability to build better client profiles across multiple channels and there will be higher confidence in true customer-initiated transactions and suspected suspicious activity. Threat Intel The first step: Cyber Threat Intelligence (CTI) and fraud strategy teams must agree on requirements. Existing data feeds received by the CTI teams can be used by the fraud operations teams but data sets and alert requirements must be parsed for efficiency. Every organization is different and teams should look to leverage feeds already in existence, either from a vendor or produced organically to enhance fraud detection. Monitoring Operations Both security and fraud teams will benefit from sharing data and building alert requirements.. Shared indicators of compromise will enhance both teams and allow for faster triage and response capabilities. Teams will have the ability to see patterns of suspicious activity and possible fraudulent behavior across multiple channels and domains that would otherwise go undetected. Analytics Analytics is a critical part of fraud prevention and detection at every point in the customer lifecycle. The key to analytics is the right data. CTI, fraud and omni channel teams must work together to fuse customer profile and behavior data, fraud prevention and detection solutions, and intelligence feeds. Connecting these dots will increase efficiency in operations, improve awareness, increase confidence in transactions, and reduce client friction. Legal and Response Response teams have a multi-function purpose–security teams may be focused on containment while fraud teams may be focused on investigations and root cause analysis of the compromised accounts and data. By streamlining the process, teams can work together and possibly reduce response times, leading to faster containment and recovery.